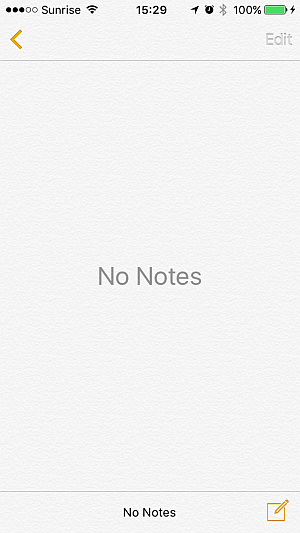 How to delete iPhone notes? Home » How to delete iPhone notes? 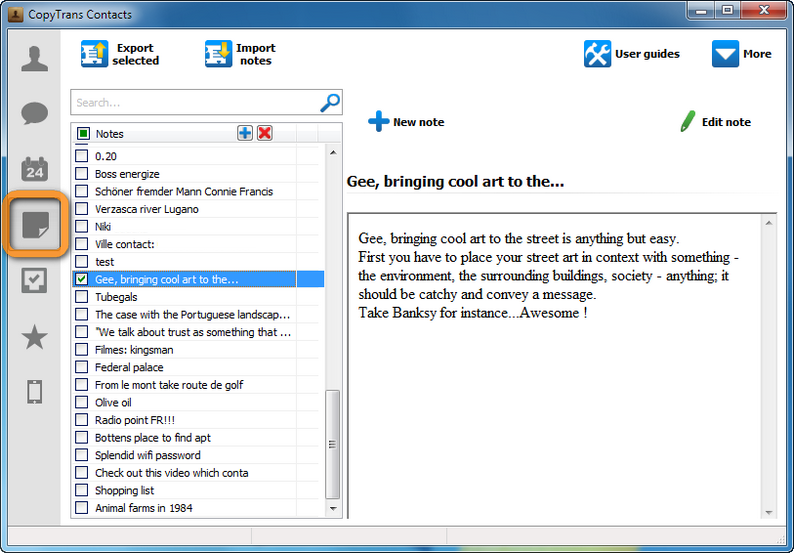 You have tons of old notes on your iPhone or iPad that you wish to delete in one go? Time to clear up your Notes app. Follow these quick steps to delete multiple iPhone notes at once without the need to fiddle around with the touchscreen of the device. Due to an iOS 11 limitation, it’s no longer possible to delete notes from an iOS 11 device with CopyTrans Contacts. Run CopyTrans Contacts and connect the iPhone. Click the Notes icon on the left. CopyTrans Contacts lists the iPhone notes. 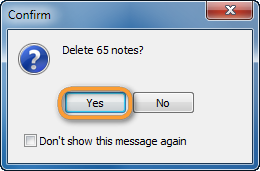 Select the notes you wish to delete by checking the boxes on the left. To select all notes at once, check the box next to “Notes” on top. Click on the red “X” button. The notes are removed from the iPhone. This is how to delete notes from iPhone or iPad.